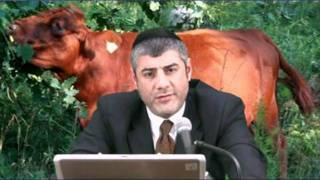 In this video Rabbi Mizrachi continues to bring us proof that the Torah is a divine document that could not possibly have been written by man. Why is this so important? Whether you are Jewish or Gentile, and want to know whether G-d exists and what the purpose of His creation is, you must first examine his instructions to mankind. In Torah and Science Part 1, Rabbi Mizrachi comes to the conclusion that Judaism is the only true religion, since the Torah is without errors. In part 2 he will bring us more proof of this, leaving absolutely no doubt as to the truth of the Torah as a divine document. Rabbi Mizrachi illuminates us by delving into fields like archaeology, psychology, and astronomy. This video is full of amazing facts taken from the Torah and confirmed by modern science. The information in this film is sure to change the way you view life and your role in it, so don’t miss watching it and do contact Rabbi Mizrachi for more questions on the meaning of life and the nature of G-d. He is only happy to answer and schedules lectures where he expands on these points and opens the eyes of Jews and Gentiles alike.